I bought my first one new, an Apple ][+, around 1979. Since then, I have programmed and modified them for my needs. Some of my coding even found its way into Roland's MUSE Apple II MIDI sequencer software back in the mid 80's. Then I was doing straight 6502 machine language, either by hand or assembler. Now I just use BASIC and delve over to the darkside only when I have to. My current Apple system is comprised of two different units. 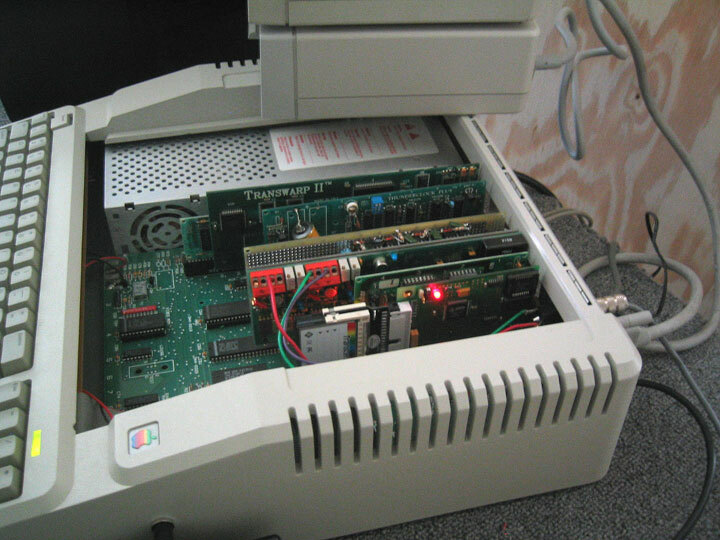 A standard Apple //e and an enhanced "Platinum" 128K model //e. Interactive Structures A/D board: 16 channels, 8 bit. Mine was basically stripped, then rebuilt with new parts. The board, properly hooked to sensors, can measure temperature, light or any voltage from 0 to 10 volts. Fast enough for audio and accurate enough for CVs. 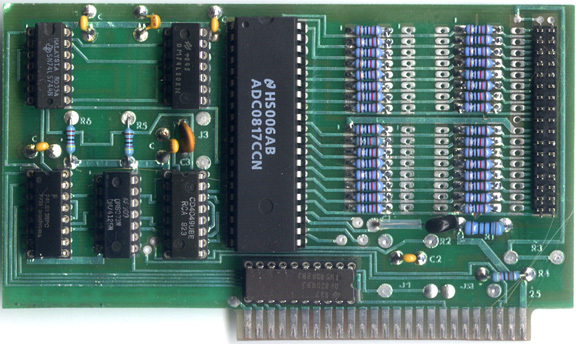 BCD A/D board: 3 3/4 digit resolution A/D converter. This thing can do a LOT of interesting things. Although it's only 8 bit, it has 16 analog input and output channels. Most Apple II's operate at 1 mhz. 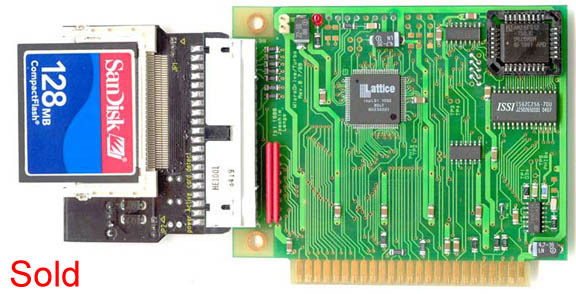 This accelerator boosts that to 8 mhz. It is actually possible to surf the web with an Apple //e, even if just via text. This device holds two 128 meg Compact Flash cards and acts as a huge, fast hard drive. 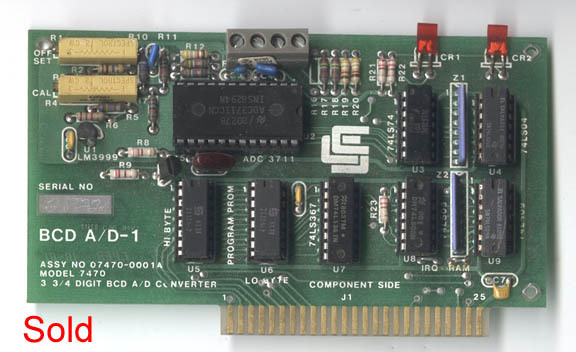 Most Apple II disks are around 140K, so one CF card can hold hundreds. This Apple boots in about 2 secs when I'm using ProDOS! 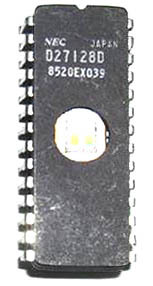 This board controls 8 DPDT relays with LED status indicators. Individual latching and clearing is programmable. These are amazing to use and can draw directly on the screen or control anything via the pen. 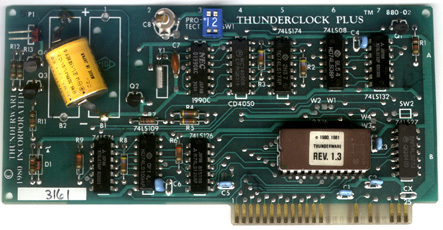 This clock can be used to automate tasks or timestamp files. It can also act as a timer from very small intervals to several years. The systems have proven very useful, despite their old age. Our outside sprinklers have been controlled by the relay board for example. The same board can also control a security camera to provide panning, tilt and zoom. Even automated changes over time could conceiveably be programmed, though I never bothered to try. One could program a music sequencer, make a synchronization box or any number of musical or scientific applications. Recently I had to plot the curve of various potentiometers, a difficult task to do with traditional test equipment. With some programming, the various A/D D/A systems could record 16 channels of control voltages and/or gates and output 2 channels of CV or gate signals. Even more with multiple boards. Here's a movie of it graphing eight envelope generators in a Roland Jupiter 8 synthesizer. Each envelope has its own adjustment trimmers inside and these were off quite a bit. Proper calibration of the env times was much easier using this method. A common use for this Apple system is the reading, manipulation and reburning of Eproms. It's possible, for example, to read in a Linn sound chip, change the data (reverse, elongate, shorten, merge, average, etc.) 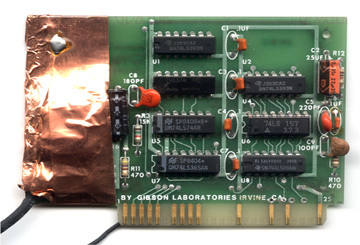 and then burn the chip again for use again in a real Linn drum machine. 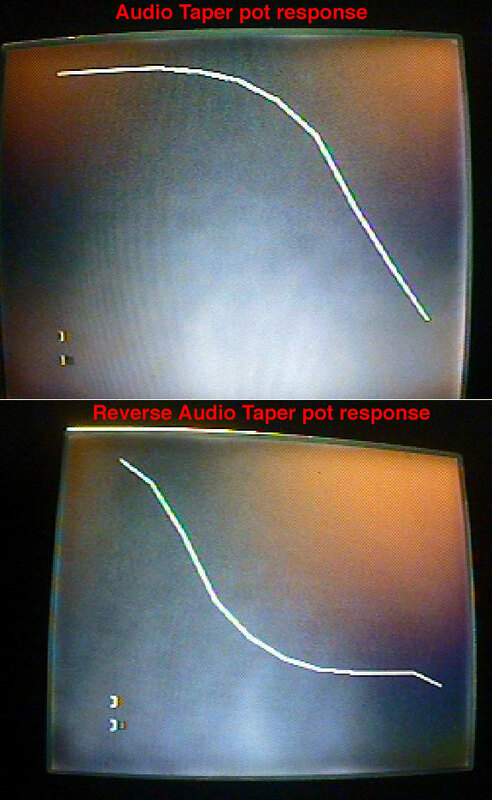 For example, I could produce a clickless spliced sample that starts out with claps, but ends with the tail of a snare. Plotting such a waveform on the screen is very easy too. 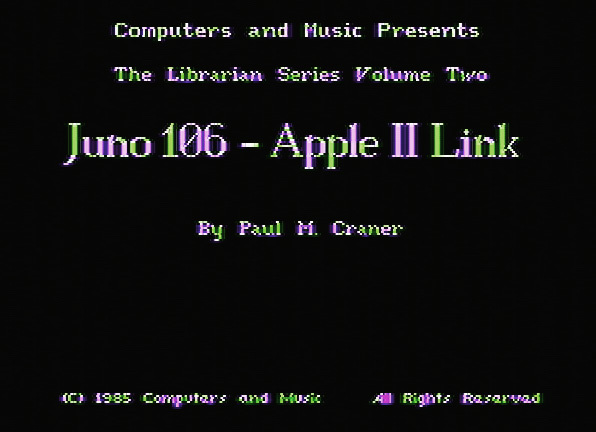 I still have a bunch of old Apple II software. MIDI programs, plotter stuff, CMU-800, games and utilities. I would really like an old Sider hard drive. I used to have these and they were great. I'm sure they're all very tired drives by now though. The big difference (other than noise) for me over the CF cards is that the Sider's could run DOS 3.3 perfectly and had great support software. 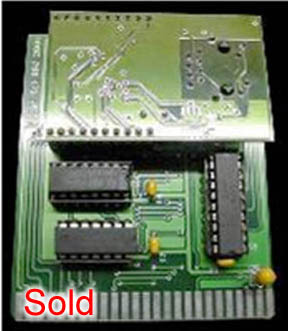 I've had the whole 1 meg Apple //e or GS with Appleworks and all that and it was just a pain. As soon as I need paths, slashes and directories, all the fun is gone. It's just a 6502 PC then, in my opinion. 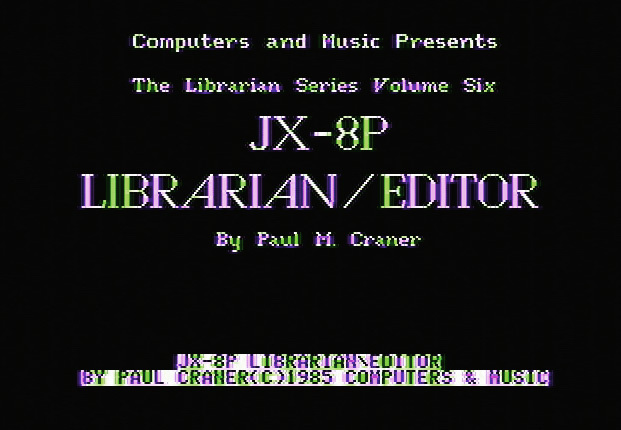 Here are some software software screens from a couple of music programs from the 80's.